Why, hello there! Thanks for stopping by. I’m Nick, a professional Graphic Designer & Web Developer with over 9 years of professional & freelance experience. I’ve designed for several different & diverse companies which allowed me to develop a well rounded collection of skills. Look, I get it. You didn’t come here to read. You came here to look at beautiful design! Right? Right! Feel free to check out my collection of works by clicking below. If you like what you see and want to follow up, shoot me a message. I’ll get back to you as soon as I can. Get your business onto the Word Wide Web. A little web presence can go a long way. Advertisements for print or web that'll be the focal point any page they're on. Memorable doodles that instantly make your brand recognizable. Advertisement campaigns and social media marketing to get your brand out there.
" Nick did a very professional job on both a new website and brochure for our company. These were very important updates that were handled from start to finish in under two months. We really appreciate the attention to detail and exceptional work product. Nick is a hard worker with a real talent for attention to detail. " " I have worked with a multitude of web designers and IT directors and have not found any to match Nick's combination of a comprehensive knowledge of the industry, personal work ethic and overreaching enthusiasm for the clients he serves. I can offer only the highest recommendation for NT for his innovative thinking and responsive servicing of my firm. " " We cannot say enough good things about the work that Nick has done for our business. He has created and recreated our website, created the new logo for Sandee's, redesigned our catering bags, and created numerous advertisements for us. We know that his work has helped our catering business grow. He is talented and very professional. " 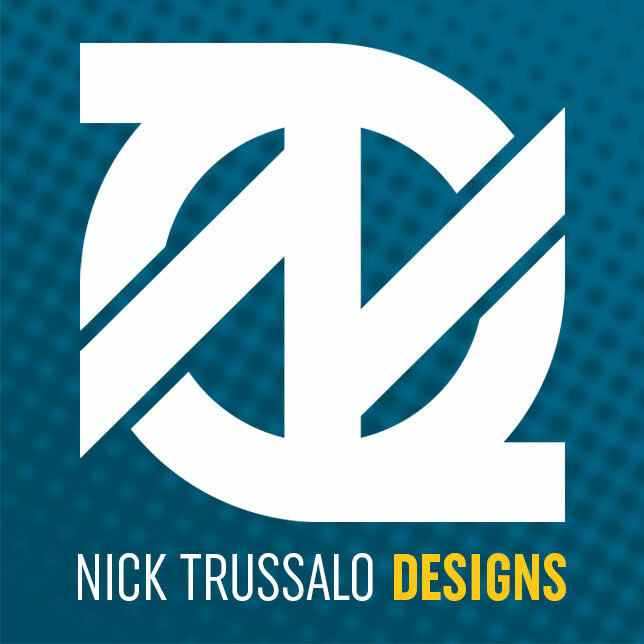 © Nick Trussalo Designs | All rights reserved.